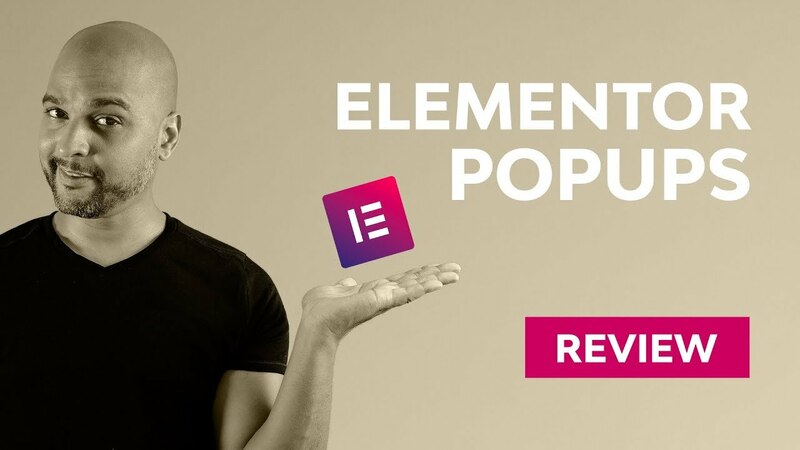 Whether you are creating a website for yourself or for a client, we all know how important it is to catch website visitors attention, so today I want to talk about Elementor Popups and why in my opinion, it is a game changer. hello my name is Kaycinho, I’m a digital alchemist and today we’re going to take a look at the popup feature of Elementor Pro. So before we start, I want to stress that point: Elementor Popups is for Elementor Pro, which means you must have a pro license. But if you are serious about your website, even though the free version of Elementor is gorgeous, I strongly encourage you to go pro if you want to take advantage of the most powerful features of Elementor such as the ability to completely customize parts of your website that are usually handled by your wordpress theme. And if you want to know more about Elementor Pro, click here. If you are interested in purchasing Elementor Pro, click the button below and start enjoying Elementor Popups! 1. Elementor popups: the fastest workflow to create and manage multiple popups. 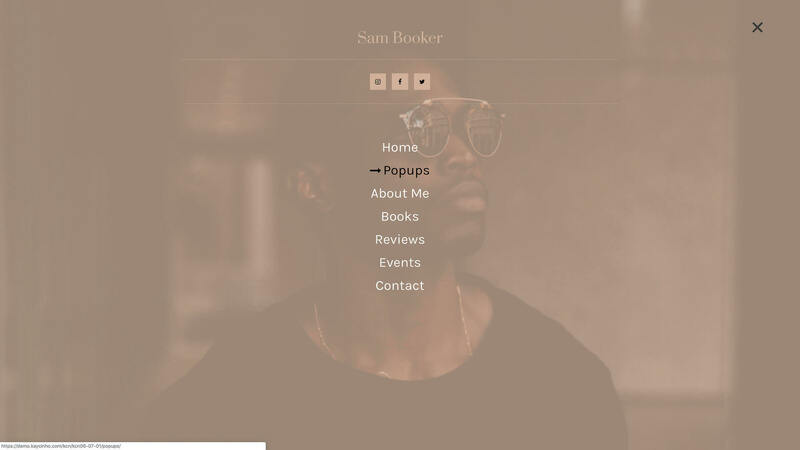 Whereas dedicated WordPress popup plugins exist, none of them (at the time of writing this post) makes the process of creating and managing popups as easy as Elementor Popups. All your popups are managed in a dedicated “popups” library. Sky is the limit, and if you have Elementor Pro (which you must have to use Elementor Popups), you have access to 50+ Pro widgets on top of the widgets from the free version. Combine that with 3rd party add-ons and take popup design to another level! 3. 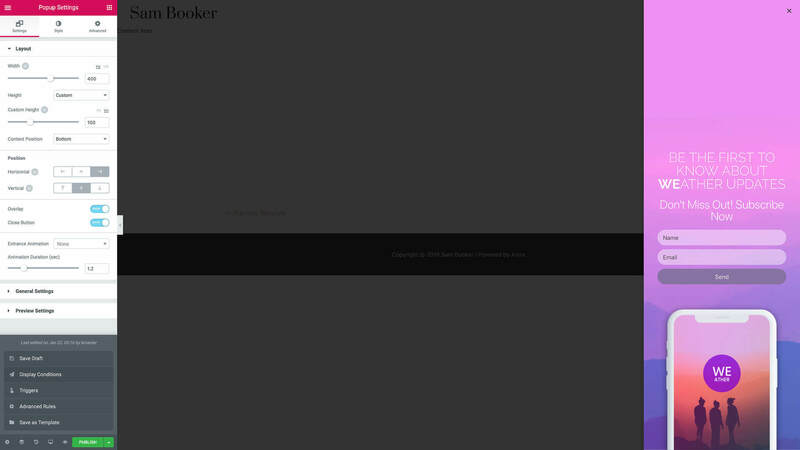 Elementor popups: everything in one interface. 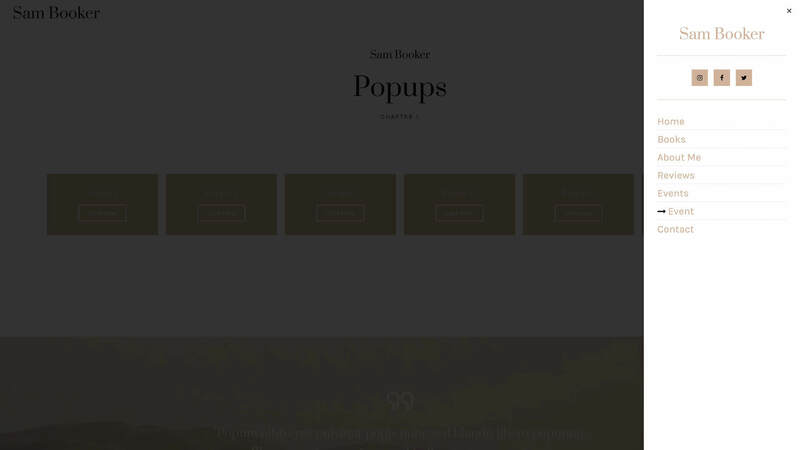 Once you are done designing your popup, there is no need to access another interface and / or complicated options. 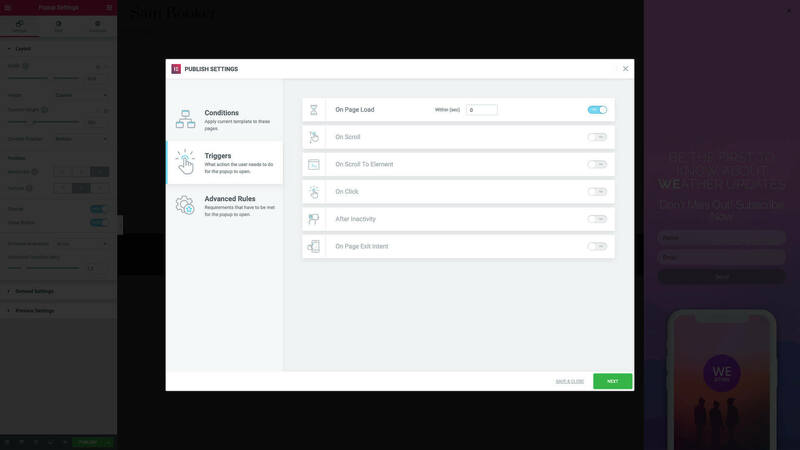 With Elementor Popups, you can choose the display conditions, the triggers and the targeting options right from where you are: the Elementor page builder. That makes it very convenient to experience with the different options without wasting precious time going back and forth between options and panels. 4. Elementor popups: zero learning curve required. 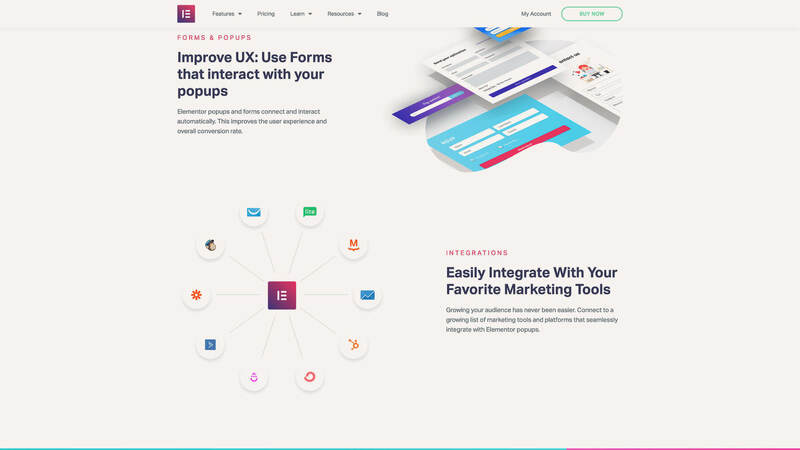 If you already know how to build a page with Elementor, then you’ll be right at ease with Elementor Popups. 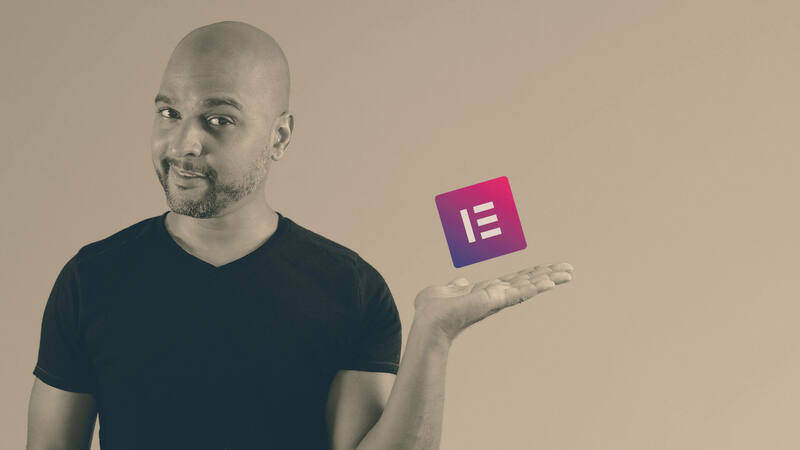 And if you’ve never worked with Elementor before I have good news for you: although it can take some time to know the ins and outs of this great page builder, it is pretty easy to get started! Another good news: there are a ton of tutorials from Elementor and from many content creators on Youtube. Just go to Youtube, type Elementor tutorial + the specific topic you are inquiring, and most likely there will be a tutorial for that. But even without tutorials, Elementor (and thus Elementor Popups) is pretty intuitive and it comes with great documentation! 5. Elementor popups: use the content from Elementor, WordPress and WooCommerce. Other popup plugins (at the time of writing this post) offer limted options when it comes to using already existing content from your website. 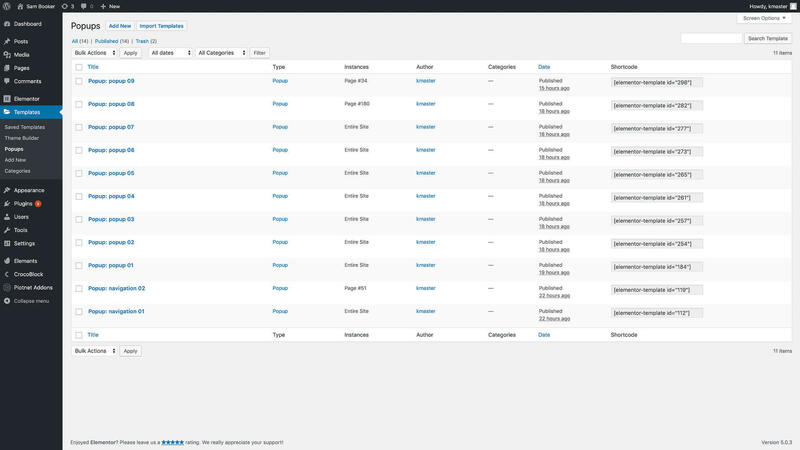 Basically you will be able to re-use images from the WordPress media library (but that’s what one would expect right?) but that’s about it. 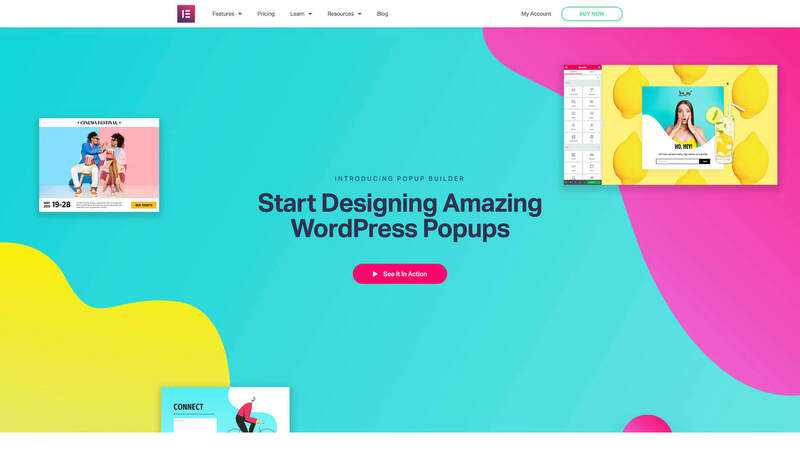 Elementor Popups, on the other hand, allows you to re-use existing Elementor templates, WordPress widgets & content, as well as content straight from WooCommerce. Pretty handy to give more exposures to your products on the rest of your website! 6. Elementor Popups: no additional setup is required. Elementor Popups does not require any additional setup. All you need is Elementor and Elementor Pro already installed and that’s about it! Short and sweet, just like this part of the post! 7. Elementor Popups: no limits of pageviews, popups or websites. While some services may charge per month, per number of pageviews or per number of popups, Elementor Popups comes with unlimited pageviews and popups. The only limit of the number of websites it can be used on is determined by your Elementor Pro License. My advice? If you’re going to build several websites, the unlimited plan is a no-brainer (plus you get discount annually when you renew before the expiration date!). 8. Elementor Popups: many beautiful templates already inside. 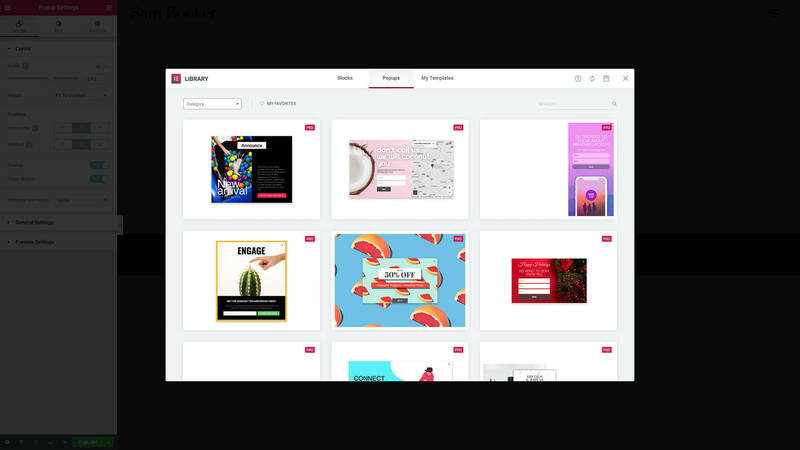 And if that’s not enough, you can install 100+ beautiful Elementor Popups templates from the Envato Elements WordPress plugin that you can download for free on Envato Elements Website. And by the way it also comes with a ton of free Elementor website layouts! You can download Envato Elements WordPress plugin by clicking here. Don’t be fooled by the ease of use of Elementor Popups: it comes with powerful triggering and targeting options. And when you combine those, you can create powerful combos on your website. For exemple, you could create a slide-in notification that would only be shown to logged-in users when they reach a banner on your page, advertising a new product. You would do that by combining a scroll event attached to the banner with the options that targets only logged-in users. So basically the popup would be triggered once the user scrolls down to the banner, if they are logged-in. 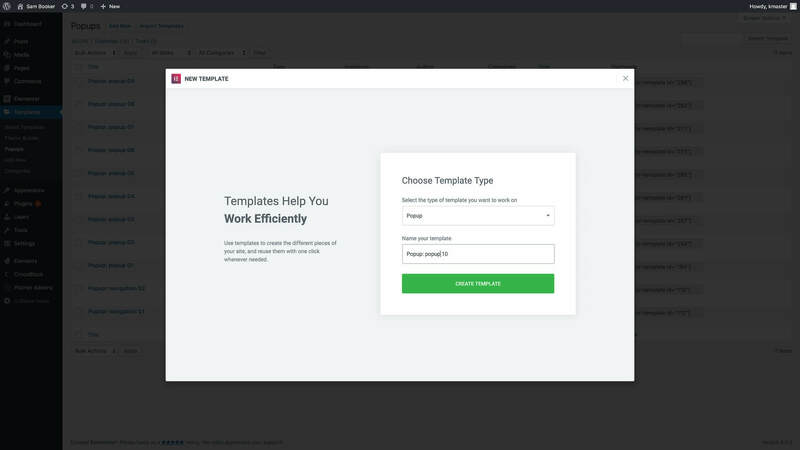 Since Elementor Popups can use all Elementor content, you can setup your forms in connection with your email marketing service, just like you would for a regular Elementor form. 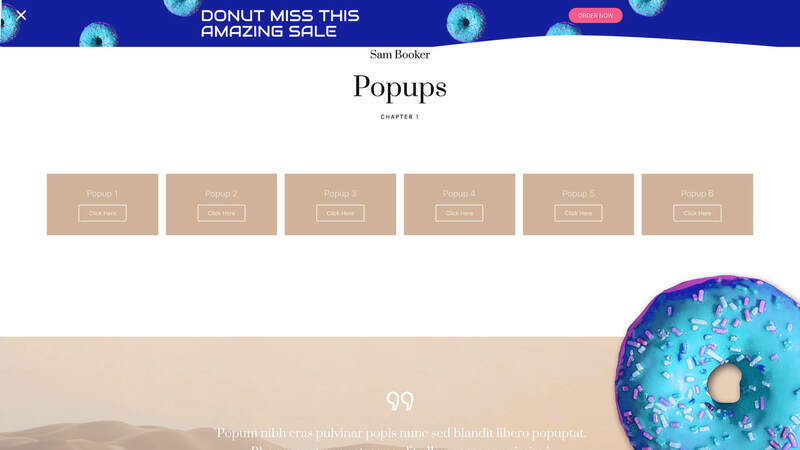 The only difference is that now, you can display it in a beautiful popup, right from the comfort of your favorite page builder. Elementor Popups: how will you use its power? So, I hope that this video helped you see the power of Elementor Popups, although I’ve only scratched the surface here! Now I’d be curious to know what is your favorite feature about Elementor Popups?